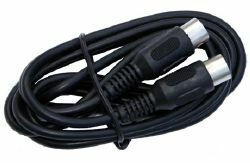 potential issue with your adapter. It is not certain that any adapters actually have this issue, but it would be prudent to check that yours does not. There will be a small increase in the price of petSD+ kits from 1st February 2019 Orders placed prior to this date will be charged at the old prices. The prices on this page have been updated with the new prices. NB : I am not a dealer or trader, this stuff is just a hobby for me. There isn't a fancy web shop or on-line ordering facility - given the tiny quantity of items that I sell, there's no justification for that, "orders" or enquiries should be sent by e-mail. 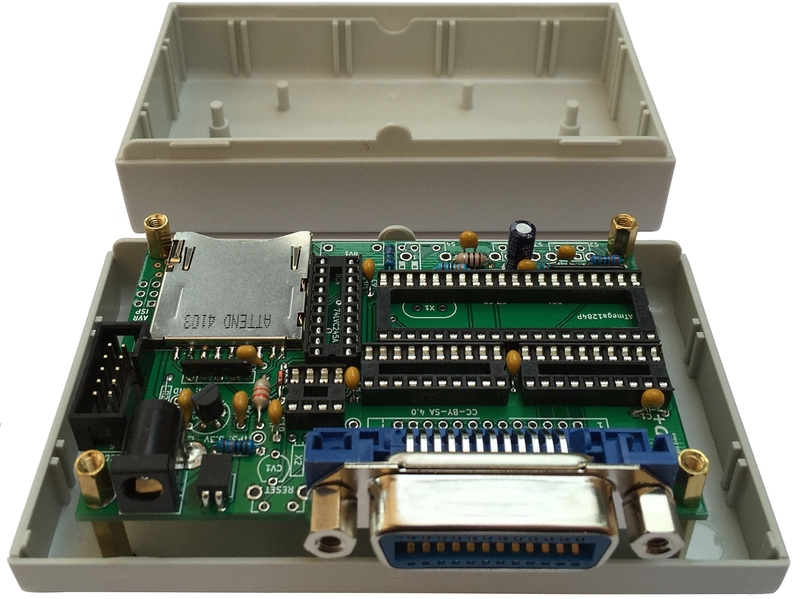 petSD+ has been designed as Open Source Hardware and the NODISKEMU firmware is a fork of sd2iec, free software released under GPL Version 2. 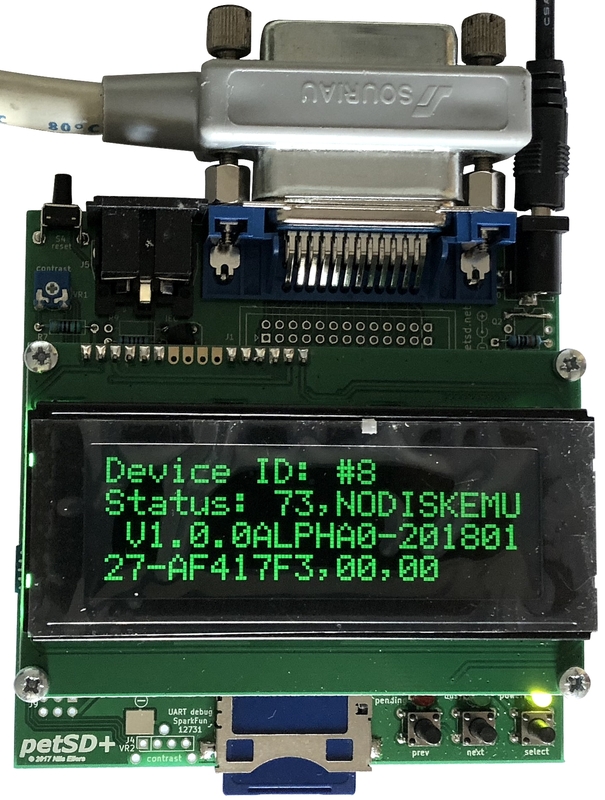 The design files for the petSD+ PCB and the firmware source and binary files are freely available from both Nils Eiler's website or from here. All of the information that you'd need to have your own PCB manufactured and enable you to assemble it are available for download. Or, With a little help from me . . . .
As I am based in the UK, the payment currency will be UK pounds, I have put indicative prices in Euros and US dollars, based on typical exchange rates in June 2015 of 1.3 Euros and 1.5 Dollars to the pound. The price you pay may vary a little depending on the prevailing exchange rates when you order. The prices do not include shipping - I will add shipping costs to mainland Europe and the US shortly, but in the meantime, please e-mail me with your address with postcode and I will get a price for you. Shipment will normally be using Royal Mail's "Tracked and Insured" service (which is not cheap), but I am happy to look at other options, provided that you bear the risks. 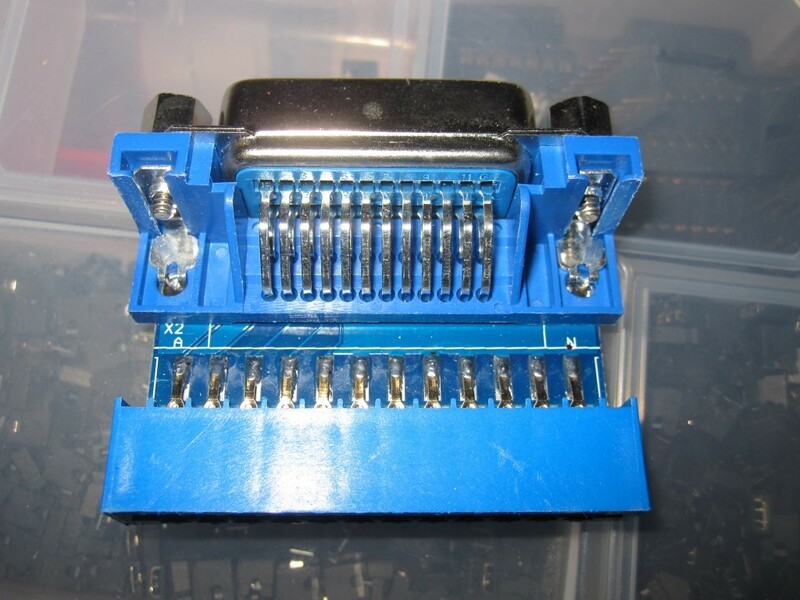 With help from Nils, I have put together a kit of parts required to build petSD+, the parts are available from a number of suppliers but not all from a single supplier, at least, as far as I know. You can probably source the individual parts cheaper than I have priced the kits, but you may prefer the convenience of ordering the parts in just the quantities that are needed for building a single petSD+ from a single supplier - i.e., me :-) See the Assembly page for details of building the kit. LCD Display Used to quickly select disk images to be loaded into the virtual floppy drive and to set the Real Time Clock. 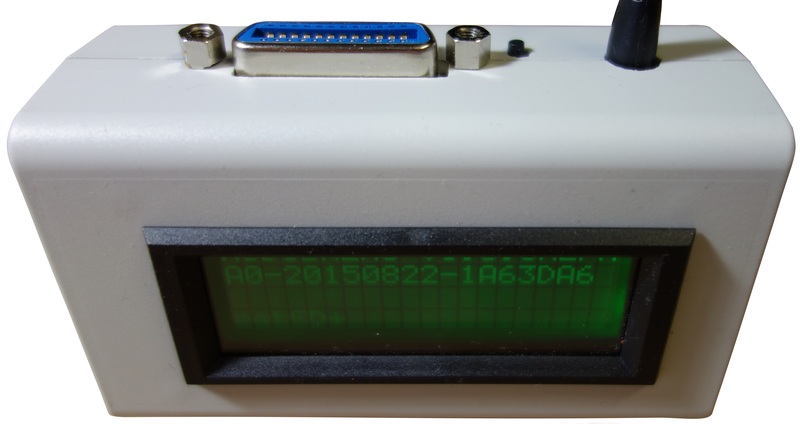 Should you choose to drop features, such as the LCD, the kit price will reduce accordingly. Should you not feel confident in your own ability to assemble the kit, you may want to purchase a fully assembled and tested petSD+. It may take me a few days to build and test each one, but I will get them done as quickly as I can on an "as required" basis. Should you want to buy a fully built and tested version, please drop me an e-mail, I will start building it and give you an estimate of when it will be completed. Only after it is built will I ask you to pay. The majority of orders to date have been for pre-assembled units, although I am getting better/faster, I did underestimate the time that it would take me to build and test petSD+. Therefore, I have decided to make a small increase in the price for pre-assembled units, the revised prices are shown below. Given the time and effort involved in building them, I think the price is very fair, but you are welcome to comment if you disagree. 3 Non-UK purchases using Paypal. Until I reviewed my Paypal account after the first couple of international sales, I did not realise that the Paypal money making machine also screws more money out of me if I accept Paypal for non-UK orders, even if paid in UK pounds. This scam is called a "Cross Border Fee" - it certainly made me very cross ! The additional cost increases the Paypal charges from 3.4% +£0.20, to anywhere between 3.8% +£0.20 and 5.2% +£0.20, depending on the country. This increased cost will need to be added to the total price if using Paypal to place an order for petSD+. To help instill that trust, I thought that it would be helpful to add a "Feedback" page where people can enter their experience of the ordering process and/or feedback their experiences with petSD+. 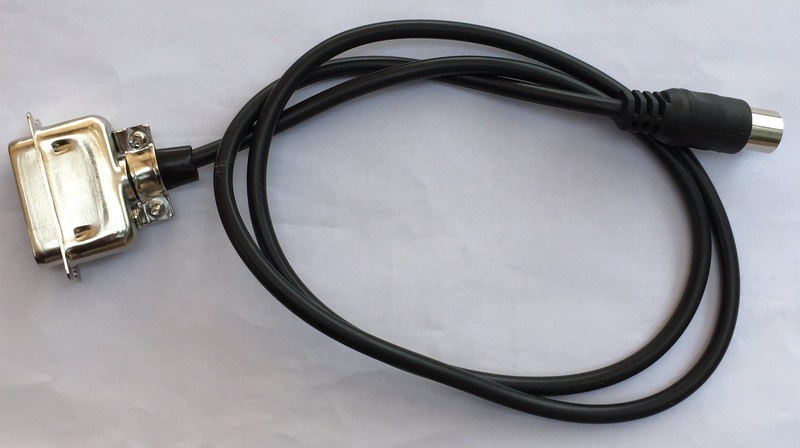 NB : For the avoidance of doubt, petSD+ does not connect directly to a PET computer, the "standard" build of petSD+ is fitted with an IEEE-488 connector like those found on PET disk drives. 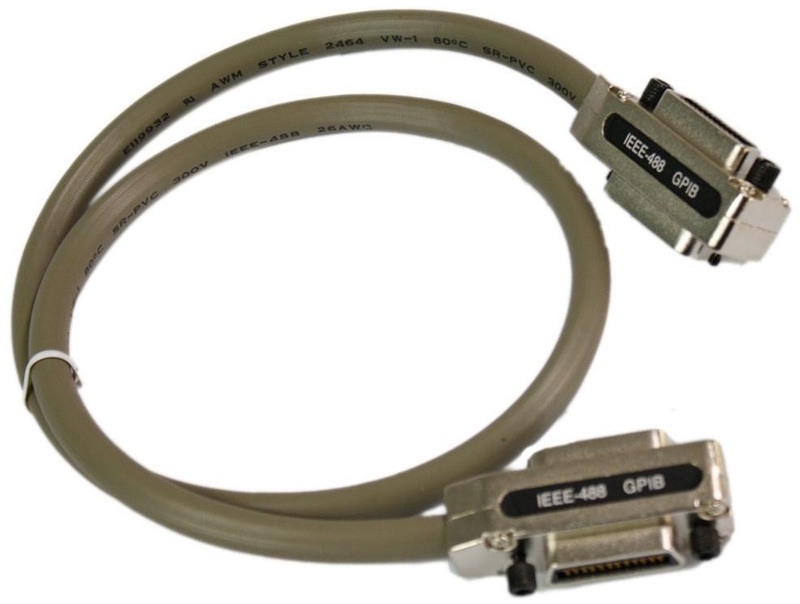 Most PET and CBM computers use a cheap PCB edge connector to provide IEEE-488 connectivity, to connect petSD+ or a Commodore disk drive, you need to use a Commodore IEEE-488 disk drive cable (hard to find) or a PET to IEEE-488 adapter along with a standard IEEE-488 cable. 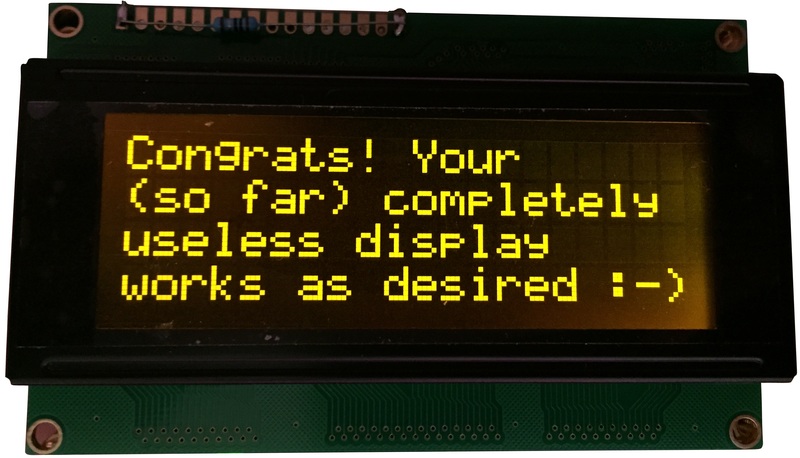 The LCD displays that I am using are available in a couple of different colours, if you don't have a preference, I will fit a display that I either have available, or can get relatively quickly. If you want to choose a particular colour, or specifically don't want any of them, please let me know and if there is going to be any significant delay in getting the colour of your choice, I will let you know. The white on blue comes out best in the images below, but that is more to do with the performance of my iPhone's camera - it does not seem to do as much justice to the other colour displays. I think that they are better than the photos might suggest. 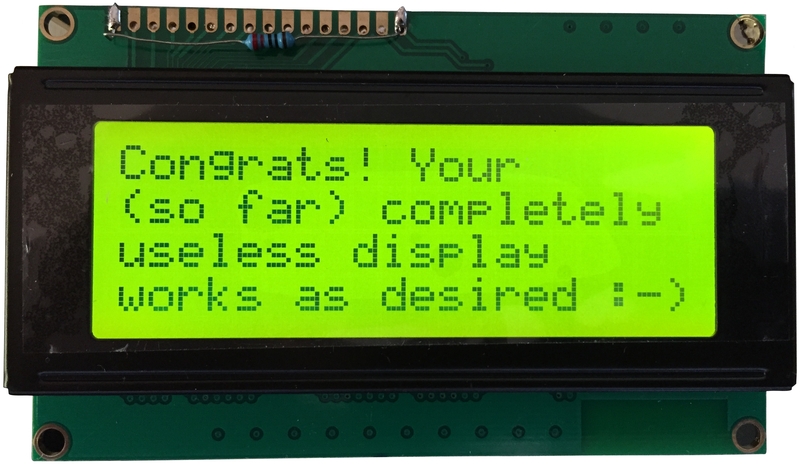 Version 1 of petSD+ had a contrast adjustment pot, but the display brightness level was fixed by the value of resistor R2. The fixed value that I used gave an acceptable level of brightness for the majority of users, but could easily be replaced with a different value by the end user. Version 2 of petSD+ has fully adjustable contrast and brightness. 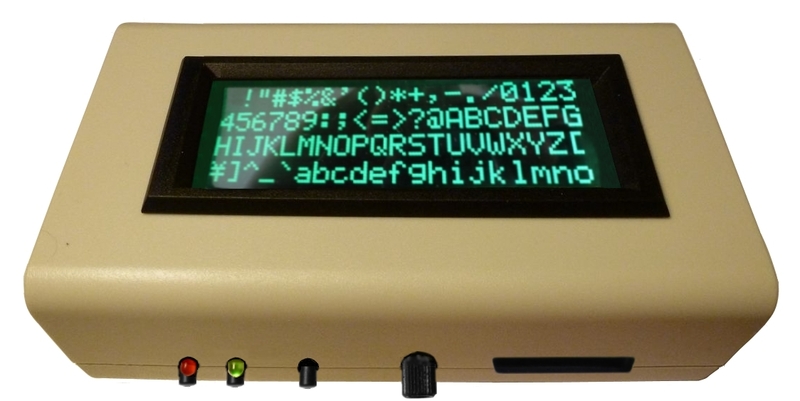 For more detail, see the LCD description on my petSD+ hardware page. 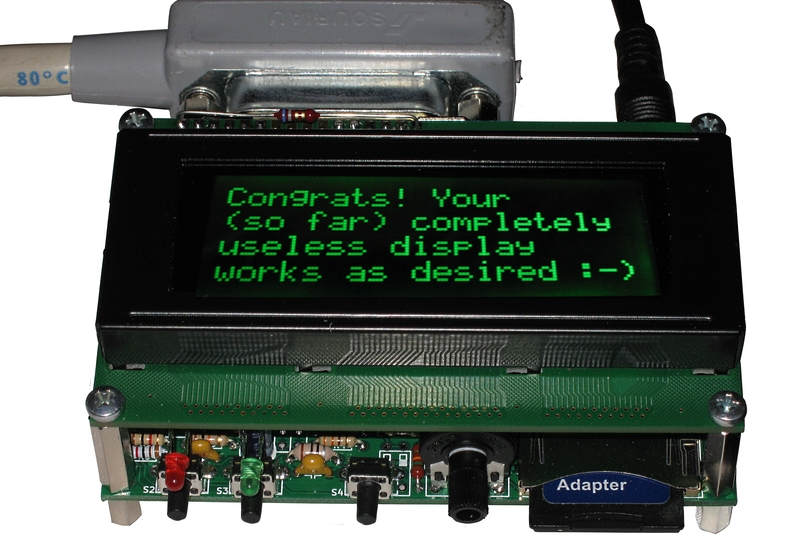 I know that Nils wasn't keen on using a blue display, but I quite like this one. Click on the photo to see the full size image, the full size photo has not been touched up - other than being cropped. The photo is pretty much as it came off my iPhone, taken with no flash to show up the display better - at the expense of the LCD PCB appearing overly dark. As you can see, the display is pretty nice, well, I think so. This is the other colour option that I expected to be popular, green text on a yellow/green background. However, not many people opted for this colour so I am not stocking them, though they are available for order if you want one. 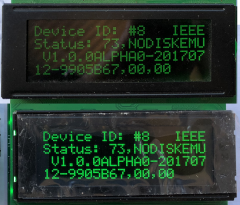 The White on Blue and Green on Yellow LCDs seem to be the most cost effective ones and are the ones that I plan to have available by default. This photo is of the petSD+ that Nils built for me, as you can see, it has a green on "black" display and is quite pleasing on the eye. It is also quite similar to the PET's own display colours. Because they are harder for me to get, I had not planned on making this display available, but, by popular demand (OK, I mean that I have had two requests), I am able to do so, but they are slightly more expensive than the ones above, so there will be a small extra charge for this option. 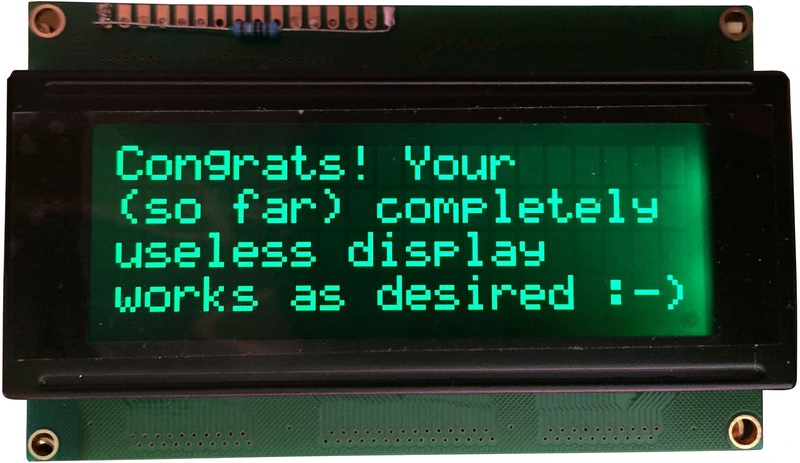 This is the "Green on Black" FSTN display that I was able to supply. It is not apparent from the photo, but the colour is very close to the display that Nils sent me, shown above. In fact, I think that I will be using the same supplier that Nils used. 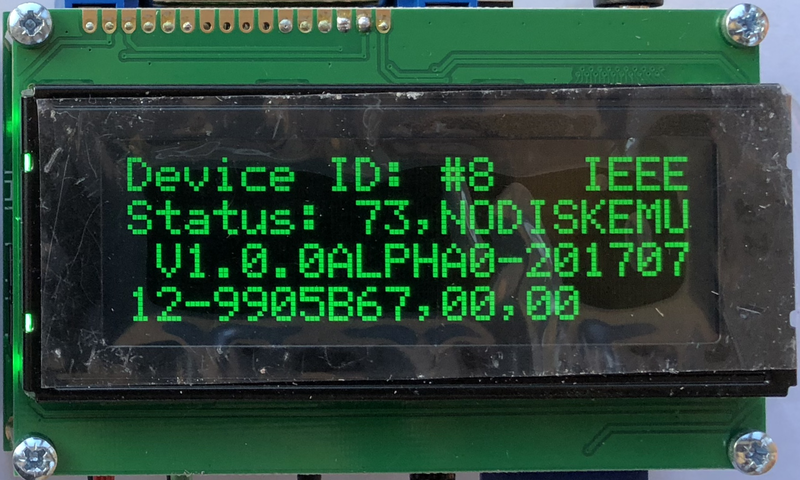 18/01/2018 I have been unable to source further supplies of the "Deluxe" FSTN LCD Displays, but have been able to source higher quality VATN displays which are around twice the price of the FSTN ones. I need to pass on some (but not all) of the additional price to buyers, therefore, the enhanced screen option will now be £12 (previously £7). Note: the new displays use VATN (Vertically Aligned Twisted Nematic) technology, rather than the FSTN technology in the previous ones. In VATN displays, the liquid crystals align vertically when the voltage is zero, this creates a truly black background to the display. When voltage is applied, the liquid crystals shift to a tilted position allowing light to pass through and create a gray-scale display depending on the amount of tilt generated by the electric field. VATN displays have a super black background, there is no "bleed through" of the backlight that could be seen on the FSTN displays, they have a Super high contrast ratio and the text is noticeably sharper. This obviously comes at a cost, but if you do want to splash out on one of these screens, you won't be disappointed ! The contrast on the FSTN display is turned up to maximum brightness level before the backlight bleed through becomes to high. The VATN display is adjusted to the optimum level (to my eyes anyway). Hopefully, you can see how much better the VATN display is. The Green on Black displays proved to be the most popular "deluxe" option, outselling the Amber on Black by about 10:1. 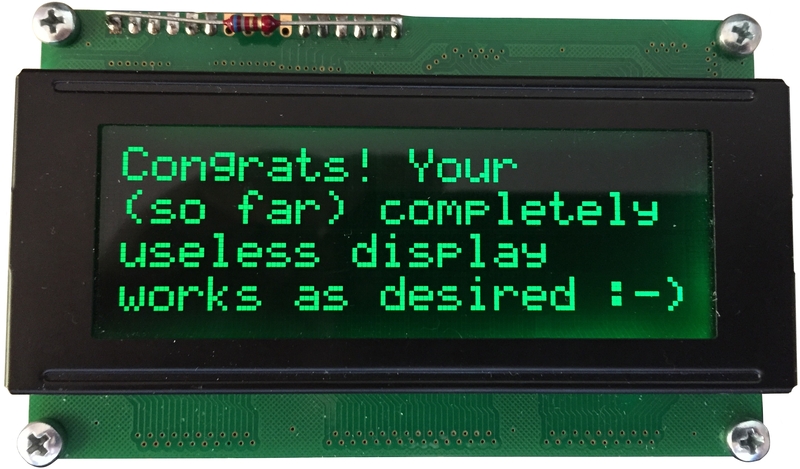 Given the low volume of sales of the Amber displays, I will not be restocking these unless specifically requested to provide them (which will result in an 10-12 week delay before I could obtain them). We had planned to offer a case option for petSD+, based on the same style as used for the original petSD. 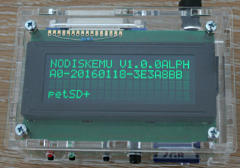 This is my "Photo shopped" mock-up of how petSD+ might look with the LCD display fitted to the case that Nils had in mind (reichelt.de stock no. SD 10 GR HALB/SD 20 GR HALB). Unfortunately though, although the proposed case for petSD+ is workable, Nils found that the installation was very tricky and time consuming, so it was not really practical to offer the case as an option. 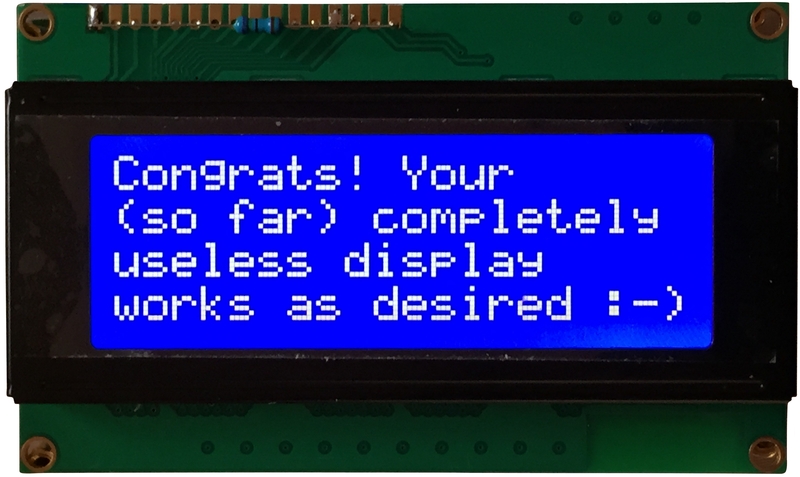 For units with the display, not having a case is not really a problem as the PCB supports raise the bottom of petSD+ off the desk and make it level. For units without the display, you might like to think how the petSD+ will sit on your desk, particularly as the battery holder is on the underside of the PCB. Nils did buy a few cases with a view to making them available as standard, now that we are not going to do that, I have a few spares. The bottom half of the case could be used without modification to hold the PCB and if you wanted to spend some time on it, you could add the holes required in the top half of the case to completely enclose petSD+ if you wanted to. I can offer the cases, including the PCB supports (shown below), for £5 ($7, Euro 6), available in grey (shown) or black. Alternatively, if you just need a set of the PCB supports, including 4 x M3 spacer bolts, 4 x M3 distance sleeves and 4 x Philips pan-head screws, I can supply a set for £1.50. Rainer Fritz has mounted his petSD+ in a very similar case, available from Conrad Electronics as part number 521035 - 62. It looks to be the same case, split 50:50, rather than the 1/3 : 2/3 of the cases that I have available. Rainer's petSD+, showing the rear of the case with the IEEE-488 connector and power input lead. 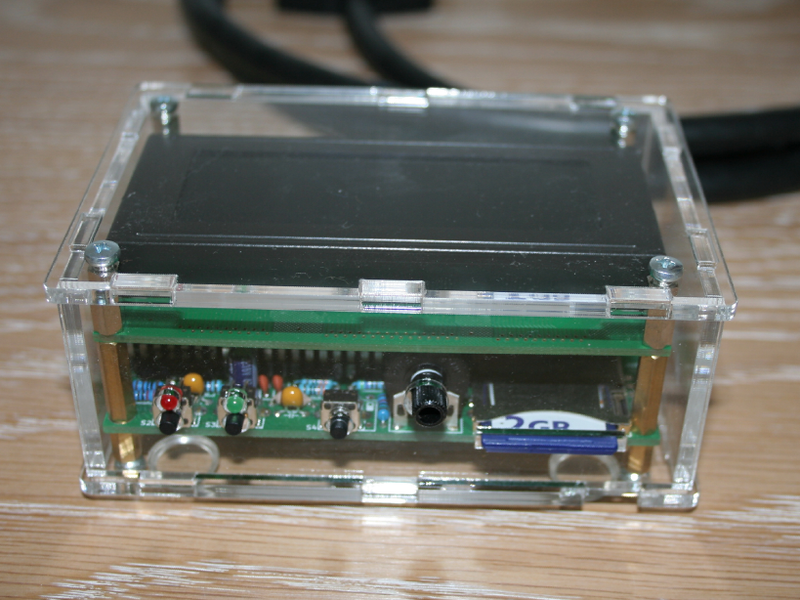 Juergen Krieg has let me know that he has sourced a nice acrylic case for his petSD+ from Michael Schön (plexilaser.de). Michael is now making the case available though his webshop. The case is priced at €19.00 including VAT (shipping extra). It's more expensive than the cases that I am able to offer, but is custom made for petSD+, so fitting it is a much easier process than modifying one of my off-the-shelf cases. 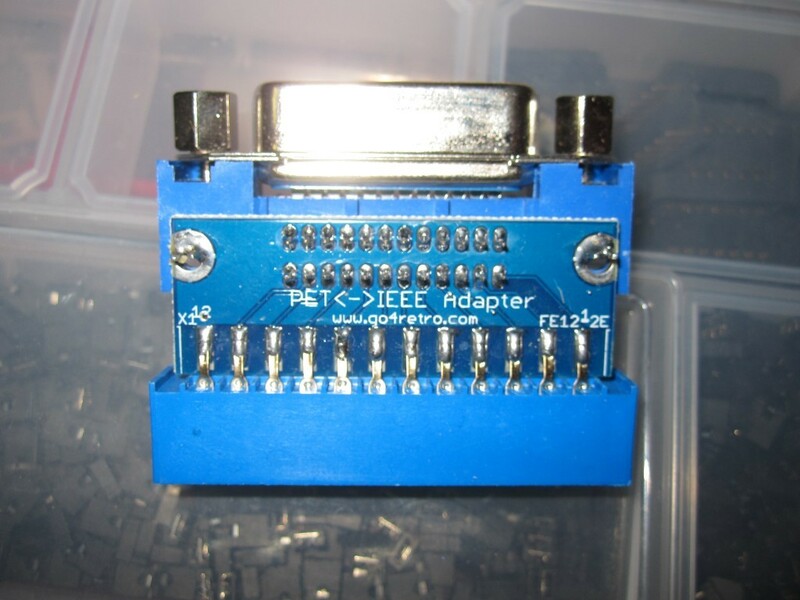 If you don't have a Commodore edge connector to IEEE-488 cable, you might like to get one of these IEEE cable adapters from Retro Innovations in the US ($10). When I bought mine, the shipping cost was another $10. I have just bought another batch but I had to pay VAT, Royal Mail's VAT collection charge and shipping, which means that I have to put the price up. I can supply one with petSD+ for £11.50, or £13 + P&P on its own. For buyers in Europe, this is probably cheaper than you could buy direct. 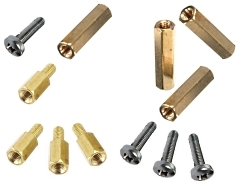 The IEEE connector should be "under" the PCB when installed (the PCB lettering should be "up"). IEEE-488 Cable, 1.0m long, new, with metal connectors. I guess that most potential petSD+ users will already have access to a range of PET software or will be able to download it from the web. I have picked up a few standard size 128MB SD Cards and I can supply the same software on these cards for £5. 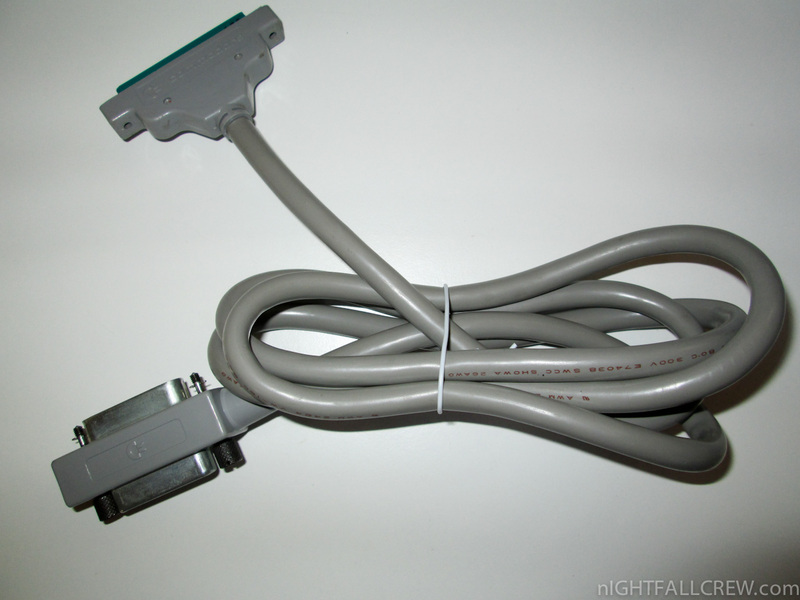 This is a standard 6-pin DIN cable, as used with a C64 disk drive. I have just picked up a few "NOS" original PET-IEEE cables, the metalwork is slightly tarnished with age, but they work perfectly. Prices are based on using the UK postal service, Royal Mail. Packages are transported to the destination country and handed off to the local postal service for delivery. I am happy to use other shipping options if you prefer. A word about the price . . . . . The price of a fully assembled petSD+ is now a little more than I had anticipated and probably doesn't really qualify as "low-cost" anymore. I wanted to say a few words about the price and, while not necessarily justifying it, at least give some insight into how the price has been set. At the outset, I would like to encourage you to bear in mind the difference between cost and value. I think that the product closest to petSD+ in terms of form and features is the HxC Rev. 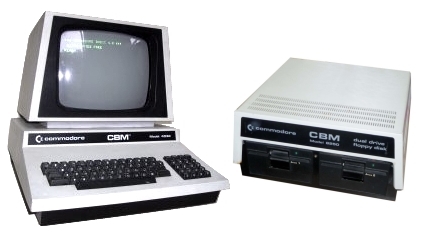 C Floppy Emulator from Lotharek. Although HxC although does not emulate PET/CBM floppy drives, it has the same Prev/Next/Select buttons and LCD screen (although half the size) functionality as petSD+. The current (as of 24/08/15) price for a Rev C. HxC, excluding shipping, is just under 70 Euros, i.e., about 20 Euros less than petSD+. HxC is more flexible than petSD+ in that it can be used with a wide range of Shugart compatible systems, including vintage home micros, IBM compatibles and industrial systems. This brings economies of scale to the HxC product; bulk component purchases will be cheaper and the larger volume of production allows manufacture to be outsourced to an automated manufacturing facility. For petSD+, I have to purchase the components in small quantities, build the devices by hand and absorb the cost of any, hopefully few, failures during construction. The time that it takes me to build and test each petSD+ is not insignificant, if I paid someone to do it at the price that I charge, I would be in breach of the UK's minimum wage regulations :-) The time taken is obviously a function of my less than impressive soldering capabilities, you could probably build one faster, should you choose to, but the price is based on the time that it takes me. You can probably source the individual parts cheaper than I have priced the kits, but you may prefer the convenience of ordering the parts in just the quantities that are needed for building a single petSD+ from a single supplier. I do add a small mark-up to the cost of the parts, this is intended to cover the time required to order the parts, apportion the costs for price and delivery to individual kits and the time taken for me to assemble the kits. If you have received a kit, I hope you will agree that the time spent in preparing it was reflected in the package that you received. Cost : An amount paid or required in payment for a purchase; a price. Value : An amount, as of goods, services, or money, considered to be a fair and suitable equivalent for something else; a fair price or return.